WataugaWatch: Jonathan Jordan Dumping His House Seat for Something More Lucrative? GA jobs are in theory part-time. Many lawyers contrive to practice while serving in the legislature. But if a state House member served in 2 governmental posts where his duties overlapped it would surely creat a conflict of interest. The NC legal structure requires enabling legislation for so many county initiatives, I can't imagine how often a county manager serving in the Legislature would have to recuse himself on votes. 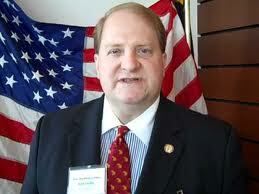 If Ashe Co. hires him he should step down from his GA seat.